Cleaning windows can be daunting taks but there are ways to make the job easier. This is a guide about cleaning windows inside and out. I figured this out years ago because I am short and we have lots of windows that need to be washed using a step ladder. Buy an inexpensive liquid dishwasher detergent (for a dishwasher) that has a "sheeting action" in the soap. Fill a bucket with warm water and stir in 1 cup of dishwashing detergent (for a dishwasher). Go outside and set up your garden hose for rinsing the windows. First rinse the window with clear water. Then using a sponge mop on a handle dipped into the detergent, wash your window. Follow with a clean water rinse and let dry. The sheeting action of the detergent will leave the windows streak free. I hated cleaning our outside windows. It was a lot of work. Expensive too. I was looking for a way to clean them cheaply on the fly without breaking my back. Now I buy the cheapest off-season windshield washer fluid I can find, usually a no-name brand, dump it undiluted into a pail and using a telescopic long handled window cleaner sponge/scraper, the job is done in no time without having the backache afterwards that I always used to get. Suggestions: Buy the summer time windshield washer in the fall when everyone wants to get rid of inventory, and vice versa in the spring when the winter fluid is on sale. You can get a gallon for little over $1. Use a rectangular shaped pail instead of a round one. You can get these at the dollar store. It's easier for the window cleaning tool to get in and out of. Tip: Outside Windows the Easy Way! Into a bucket place put 1 cup Cascade and then fill the rest of the bucket with hot water. Notice the suds! If they go away during the cleaning process, pour the mixture out and start over. Wet the windows with a hose. Using a "clean" (this is important) car washing brush (with handle), dip the brush in cascade solution then scrub window and frame beginning at the top, rinse. Do not put the dirty brush back into the bucket, rinse it off first! The object here is to rinse windows before the cleaning solution dries. I can do the top and bottom of one window before I have to rinse. If your Cascade solution dries, you have to do entire window over. I have 20 long windows on my ground floor. I can clean all of them in about 30 minutes. Added benefit: this solution also gets rid of spiders living in your windows. Clean your windows with just water. I slightly dampen a clean terry cloth towel/rag with water and clean my windows with them. You may have to experiment to get the towel just moist enough to do the job without getting it so moist it leaves water spots. Try misting a towel with about 20 shots of water. Water is great for cleaning surfaces that don't need to be disinfected. It won't streak and the price it right. I know that everyone who loves this particular site will love this tip. For cleaning mirrors, etc. I don't bother making any concoction; I just use my empty bottle of all purpose cleanser (that I always keep in a spray bottle anyway). I have a huge bag of my husband cotton T-shirts he has discarded, so I started using them to clean all my windows. I am so happy, my windows look great. Use vertical strokes when washing windows outside and horizontal for inside windows. This way you can tell which side has the streaks. Straight vinegar will get outside windows really clean. Instead of using paper towels or newspaper for cleaning your windows, try using the collection of wash cloths you have and never use, or pick up some cheap ones at a yard sale. They do a terrific job with a lot less elbow grease and there's no lint on the windows or black on your hands. If you have a problem reaching for cleaning windows or anything high inside or out, purchase a telescopic window washer; the kind they use for cleaning bus windows. It works like a charm! I ran out of paper toweling and I don't want to buy any more. I used a cloth baby diaper to wipe down my windows and mirrors. It works great - no streaks! Now I just have to make my own glass cleaner with vinegar and water. Mix white vinegar 50 - 50 with water and put in a spray bottle. Spray it on generously. . . Try using newspaper to clean mirrors and glass. First spray on the cleaning product, then wipe dry with the newspaper. I find paper with just black ink works best, and not slick, shiny paper - just plain old newspaper. If you have run out of window cleaner, use a damp newspaper. They work really well and do not streak the glass. Be sure you only use it on glass and do not use newspaper with colored print on it. Joy dish detergent works great for cleaning glass tables and windows. It doesn't leave streaks. I use it faithfully. Forget microfibre cloths and proprietary cleaners. Place a sheet of newspaper in a basin of water; if it doesn't disintegrate, it's ideal for cleaning glass (windscreens, mirrors, and panes). Question: What Do You Use to Clean Windows? What can I use for cleaning windows? 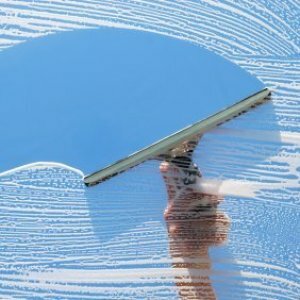 How do I use vinegar for window cleaning? Mix 1 part vinegar with 4-5 parts water. I use about a quarter cup of vinegar and a few drops of dish detergent. i favor dawn. put it in a half bucket of water. 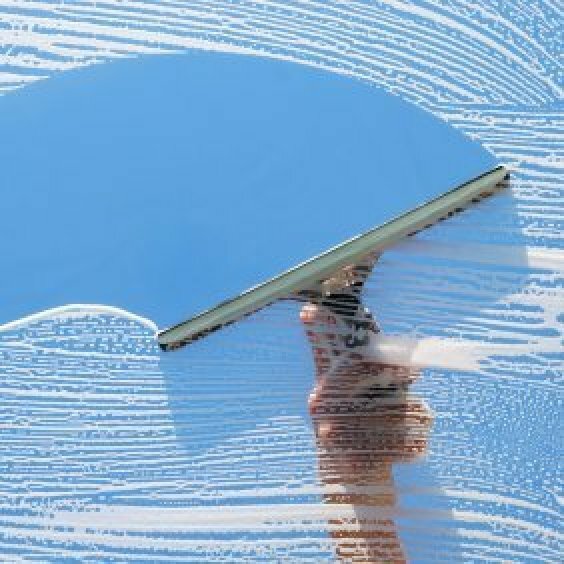 vinegar cleans and helps to reduce streaks and the detergent will cut the grease and crud off the window. got stickers on the windows? use vinegar full strength and soak the paper. it will eventually come off. to speed it up, use a straight razer blade to scrape. MCW has a good vinegar/water ratio for cleaning windows. I put it in a spray bottle then use newspaper instead of paper towels to wipe which saves a little money. Remember to FIRST put on some disposable gloves or you will end up with black hands. The newspaper leaves no lint or streaks unless the window is very dirty, so you may need a 2nd application. The last tip is wipe in 1 direction on the outiside, another on the inside so if it does streak, you can easily tell which side of the glass it's on. Paper coffee filters also great for cleaning windows. I buy the absolute cheapest brand. I start my cleaning mixture as MCW makes it. For the outside and the kitchen, I also put in a drop or two a dish detergent. Straight club soda in a spritzer bottle works well for windows and glass too, and its a good alternative if the smell of vinegar is too overpowering. For windows I use a squeegee and wipe up any excess with a microfiber cloth. It makes the job go a lot faster! If your windows are really dirty I'd use a dish soap and water solution first as plain vinegar might streak. Use equal parts water, ammonia and rubbing alcohol. The alcohol helps to keep the window from streaking and drys quickly. I put rubbing alchol and water together, and either get a towel or paper towel depending on what is in my reach. Considering prices now I tend to try to find Towels that way I can rewash. I just put a few drops of the rubbing alchol and put about a gallon of whater. It even cleans the counter tops and the sink. I put the solution in the sink so I don't have to search for bottles, and then that way I can clean the sink out. I like the vinegar formula too and I have a ton of windows. My tip is an addition to the newspaper usage. My local newspaper sells 'end rolls' for practically nothing. Using the unprinted paper keeps the ink from being a problem on hands or painted frames. Also, the paper is super cheap for kids art work and for packing when moving. I have also recently discovered the magic of micro fiber towels. They leave no lint and can be used over and over (sparing the trees). Dollar Tree sells them in all shapes and sizes for $1 each. They are a real bargain! Put it in a spray bottle and shake to mix. I don't subscribe to a newspaper...so I just use paper towels. A much less expensive product is windshield washer fluid - works great for a whole lot less! 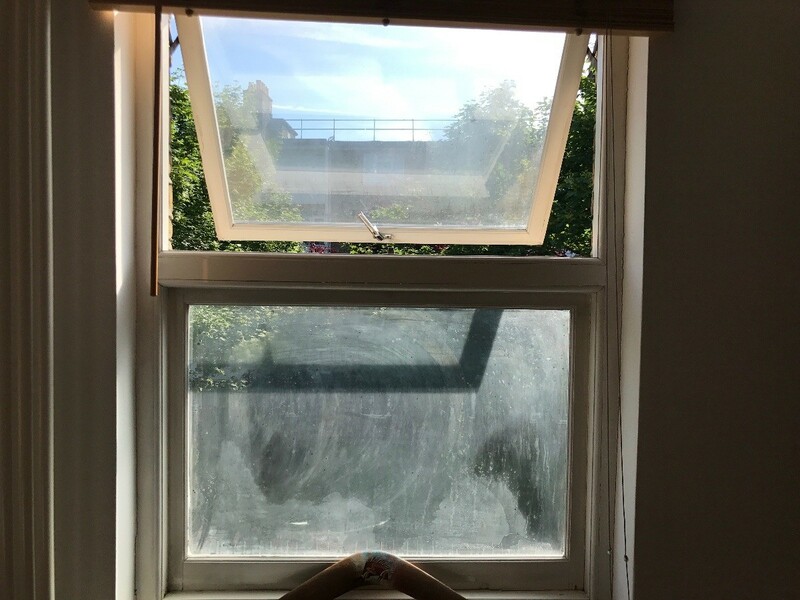 I just moved into a new flat, but I have no idea how to clean these particular windows! They're double glazed and it seems like there is residue from a previous bad cleaning. However when I tried to get it off it seems like the residue/marks are inside the two panels! I don't know how this is possible and I really need your help, the windows just look awful! I need to clean my business windows. I'm on a busy main road were anything from farm vehicles, semis, cars, and so on are passing. There is lots of wind blowing dirt, chemicals, and more. I've cleaned the outside windows with Windex, ammonia, vinegar, and tried the toothpaste. I still have these dirty not appealing spots on the window. What else do I try before paying $300 for my 9'x9' window to be cleaned by a pro. We have multiple dots developing on our low E windows. They are in the front and back of house, so it doesn't matter which direction the sun is coming from. We had the original installer out to look at them, but since they are beyond warranty, he just shrugged his shoulders and said he had never seen this problem and we were pretty much ignored. Has anyone heard of this and what might be causing it? They spots are definite round circles as are polka dots. It might be where acid rain hit them,we had that happen to our car windshield. We washed it several times with vinegar & a sponge mop. It helped, good luck. We had new pella windows installed on our house a few years ago, we had large circles on windows. They said it was from the factory the way they move the glass, it took a few years to remove them, and when the sun is just right they still show. Pella did not stand behind the windows like they should have, the local window company that installed them messed up and the company said it was due to poor installation, and the local glass company said it was a fault of the pella 's manufacturing. That put us in the middle with no fix to problems. Loved the windows with the shades in between panes, but would not ever go through pella again. 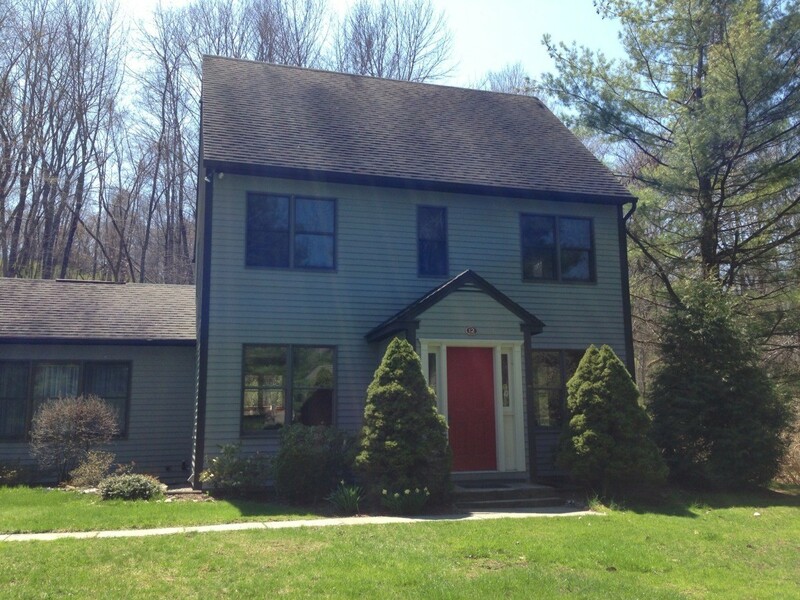 What is a good way to clean outside windows on a house? What can be used to clean tinted vinyl sunporch windows? 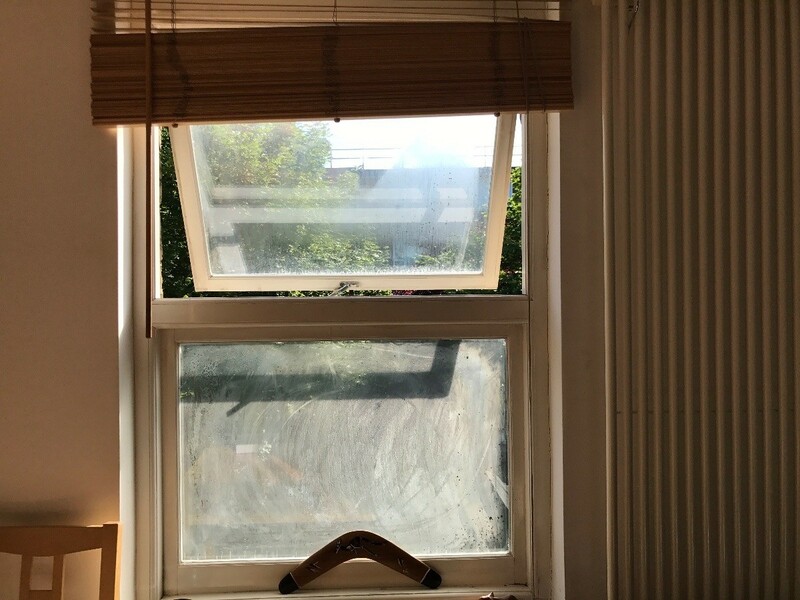 I have just had new PVC windows installed and there seems to be some sort of scummy marks on the glass, it's like grease or something. Everything I have tried to clean the glass with just seems to wash over the scum and I have tried everything I can think of. Any ideas? I do not know what is on my windows. Whatever it is it smudges and stays on them when I wash them. They actually look foggy when the sun shines in. It's on my new car windows, too. I've tried everything I can think of to remove it, but nothing works. My husband sprayed hornet and wasp spray above a window and the drift left streaks on the window below. How can I remove wasp spray stains from our window? Is there a method or gadget to clean the outside of your windows from the inside? My upstair windows are too high to do from outside. I'm a window cleaner and I've been cleaning my customer's windows this week and I've left black blade marks on my customer's windows. I just put Fairy in my water. Any ideas why this is happening or has any window cleaner had the same problem? How do I take old Scotch tape off a window?